There's a storm coming, and this time it is filled with fire. 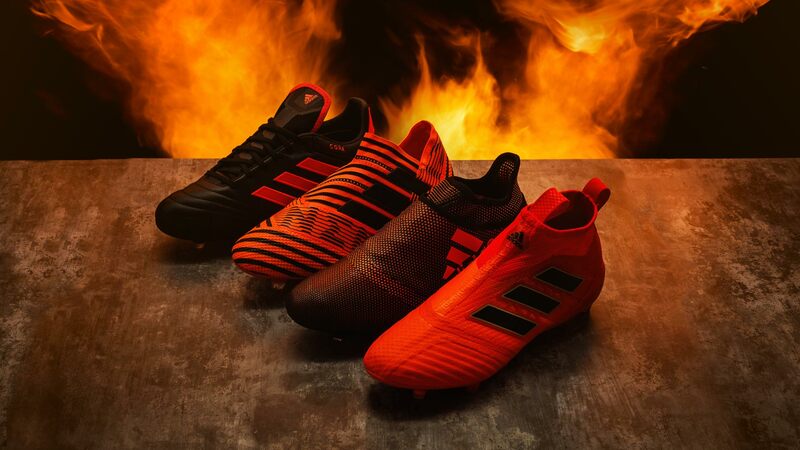 The guys at adidas have dropped some brand new heat with the fiery colourways in the 'Pyro Storm' Pack. Keep calm and check out that ACE! Since the release of the 'Dust Storm' Pack in May, adidas has been drawing inspiration for their boots from naturally occurring storm phenomenons and that trend continues today with the 'Pyro Storm' Pack. Tech-wise, the ACE 17+ PureControl, Copa 17.1, X 17+ PureSpeed and Nemeziz 17+ Agility don't feature any news compared to the packs since 'Dust Storm', so the 'Pyro Storm' Pack is solely a colour update from adidas. But what about those colours? They do actually look fire on pitch, and there's no doubt your opponents will fear your next move when wearing these. This collection from adidas is not the only eye-catchy football boots we have seen. 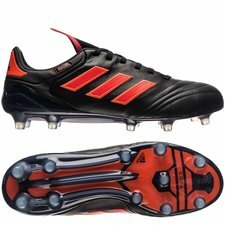 See our other hundreds of unique looking football boots. You won’t be disappointed. 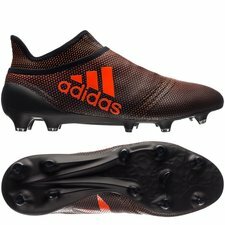 Let's start with the adidas X 17+ PureSpeed, which is mainly black, boasting an orange polka-dot gradient design with an orange adidas logo and a matte black soleplate. 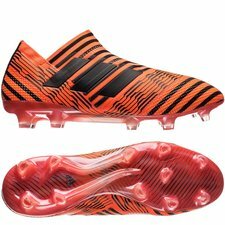 If you take a look at the Nemeziz 17+ 360Agility, it's pretty much a reversed colourway compared to the X, being mainly 'Solar Orange' with black stripes, black Three Stripes and an orange soleplate. Both providing awesome, yet very different looks. 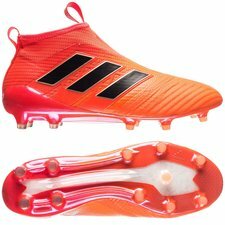 Moving on to the ACE 17+ PureControl, the boot comes in an astonishing fiery colourway, fading from 'Solar Orange' at the front towards a dark shade of red in the rear. The black adidas logo with gold outlines round off the bold look. And if you ask me, this is the best colourway from the 'Pyro Storm' Pack. It's simply flaming hot. Both the X, Nemeziz and the ACE come in 17.1 versions for the classic type of player who likes laces. And then let's finish up with a classic where laces are a must. Predominantly black, the Copa 17.1 boots have red Three Stripes on the outstep and more red trim on the collar and heel. And with this stylish colourway you still get the kangaroo-leather upper, a compression tongue and a sole plate with a standard layout of conical studs. Crazy about the new colourway? Get your adidas 'Pyro Storm' boots right here.